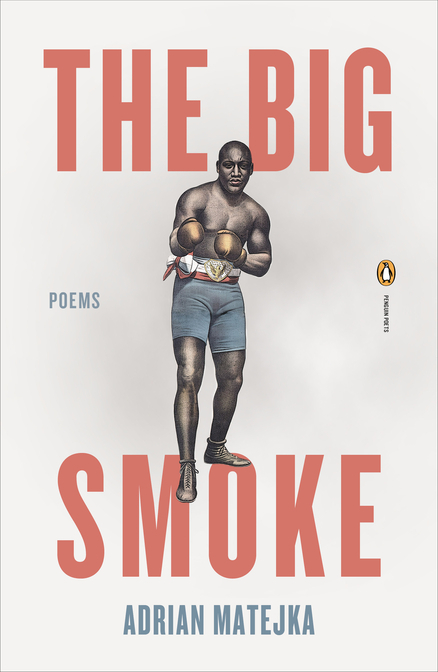 The poems in Johnson’s voice have more surprising grace and eloquence than you might expect from a pugilist of any era, but these unexpected touches are why you can’t set this book down. That Johnson read and loved Shakespeare. That Johnson bought gold teeth “to make/ every bite of [his] food twice as expensive.” That Johnson loved Verdi’s Il Trovatore: “it was like sun up after the Great Storm.” Matejka has gathered these details and used them to go far beyond mere caricature or even characterization. Johnson’s voice possesses the type of authenticity rare to stories rooted in a history muddled by early 20th century racism; so at the end of the book when Johnson asks the reader “What would you like to know?” in a smudged booth at Hubert’s Museum & Flea Circus in 1937, long after his prizefighting days, I simply shrugged my shoulders. What’s left to give? He’s already given us so much.